WEEPING SPOON PRODUCTIONS | Independent Theatre from Australia and beyond. CAPTAIN SPACESHIP Flies Into FRINGE WORLD! Join Captain Spaceship (Esther Longhurst) and her crew of intergalactic riff-raff as they travel through time and space exploring the cosmos, discovering new uncharted worlds and narrowly avoid copyright infringement. Inspired by 1950’s Sci-fi serials, Star Trek, Doctor Who, Firefly, Red Dwarf and 90210, the Captain and her crew will make up their ongoing epic adventures live onstage aided by the audience’s suggestions. They could end up anywhere and anyWHEN and will have only their sharp improv skills, some cheap costumes and maybe some lasers to defend themselves! Featuring members of Perth’s own improv-comedy institution The Big HOO-HAA! And the cast of the multi-award-winning FRANKIES, this is going to be one of the hot comedy tickets this Fringe season! We are very excited that after months of planning not one but TWO productions of The Ballad Of Frank Allen will be opening worldwide this July. 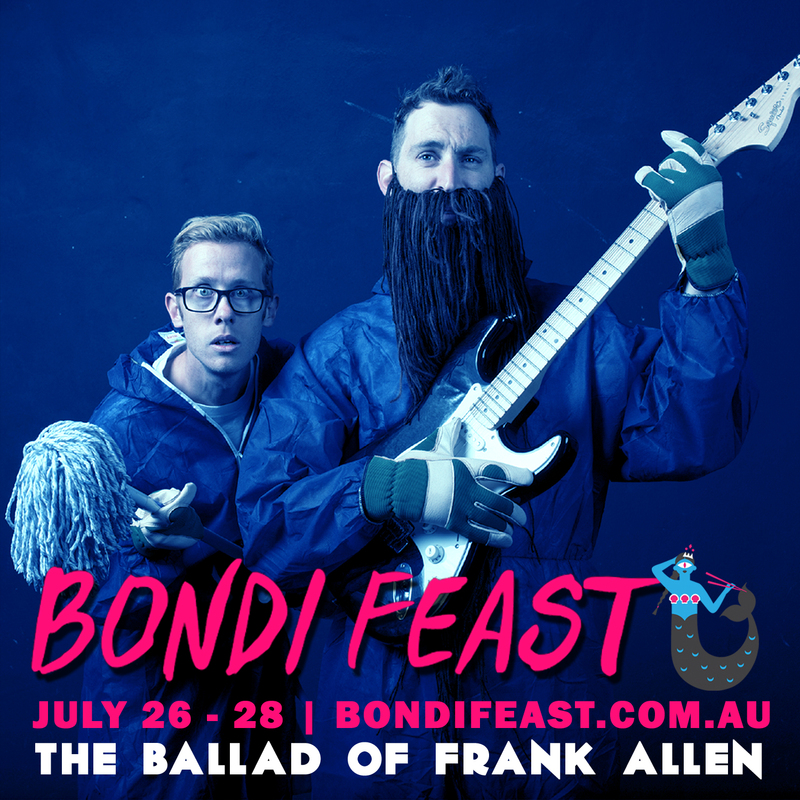 Original Australian cast members Shane and St John will be taking their production to Sydney as part of Bondi Feast while American theatre company Plan B Productions present their own take on the work (re-titled The Man In My Beard) as Part of The KC Fringe all the way over in Kansas. We’re so incredibly proud of this show and we are always happy to see it reach new audiences around the world. Check out the trailer for THE MAN IN MY BEARD below! Tickets available for BONDI FEAST in Sydney HERE! 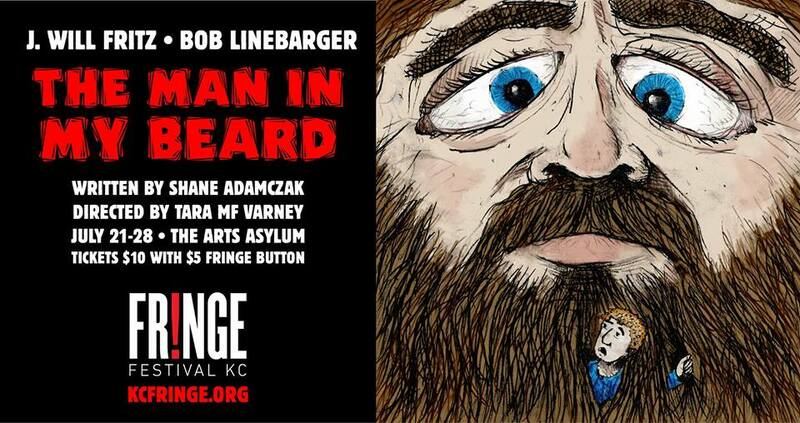 Tickets available for the KC Fringe in Kansas HERE! So excited that to celebrate it’s second birthday our awarding winning hit The Ballad Of Frank Allen returns to Perth, Adelaide and debuts in Wellington, New Zealand in early 2018! Check out the tour dates page for more details! Tickets are now on sale for our brand new sci-fi solo show STASIS. The show makes it’s world debut at The Blue Room Theatre October 10-18. a;; shows 7pm. Tickets on sale HERE. THE BALLAD OF FRANK ALLEN WINS THE JFL AWARD! We’re very excited to announce that our show THE BALLAD OF FRANK ALLEN has just won the Just For Laughs (Best Comedy) Award at the 2017 Montreal Fringe Festival. We are hugely honoured to have been in such incredible company! Thanks to all who supported out show in Montreal, please spread the word! WEEPING SPOON RETURN TO FRINGE WORLD IN 2017! We are super excited to finally announce not one, but TWO shows we are co-producing at the 2017 Fringe World Festival! We’re teaming up with Variegated Productions to bring back an Improv-Allsorts favourite! Ramshackle & Kitsch is the lovechild of Starsky & Hutch and The Mighty Boosh, a manic comedy based on audience suggestions and the finest of buddy cop traditions. Ramshackle is an old school detective – a veteran who does what needs to be done to get the right man behind bars.Kitsch is new on the team – a wide-eyed hipster who is as equally excited about the job as being distracted by puppies wearing shiny collars. Following previous fringe-hits Vicious Circles and The Ballad Of Frank Allen, we’re teaming up again with Montreal’s Stadium Tour Theatre Company to make the world debut of our new show THEM GOOD OL’ BOYS as part of The Blue Room Theatre’s Summer Nights season. February 2, 1959. Clear Lake, Iowa. Four Musicians. This is Buddy Holly’s final chapter. Them Good Ol’ Boys brings us back to the last moments of Buddy Holly as he struggles to regain control of his life, his music and his career, all in the middle of frozen Midwest nowhere, USA. Join Waylon Jennings in this chronologically impaired journey as we spy through his eyes and memories on Buddy’s last night, with a faint Echo of love, loss, nostalgia and survivor guilt. This is rock and roll. This is the day the music died. THE BALLAD OF FRANK ALLEN SOUNDTRACK RELEASED! The soundtrack to our latest show THE BALLAD OF FRANK ALLEN has just been released on bandcamp! It contains all the tracks from the show plus some bonus content! Huge thanks to our buddy Alwyn Nixon-Lloyd for recording and mixing the EP! Thanks also to Alyssa Nixon-Lloyd, Brett Cullen and all our Indiegogo supporters for helping make it happen! Click here to check out the EP plus a bunch of great albums from the Zack Adams archives!